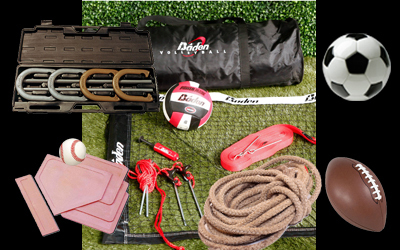 When planning a summer picnic or other special event, our sports equipment rental packages are the perfect match! Baseball, Volleyball, Football, or whatever type of sport your guests love, we can help you with providing the equipment. We offer three standard packages to fit your event needs.